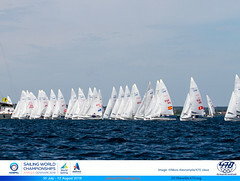 Takapuna, New Zealand is the venue for the 2012 470 Junior World Championships from 26 January-3 February 2012. The event organizers have put together a great event package which means the cost of competing in New Zealand is amazingly affordable. 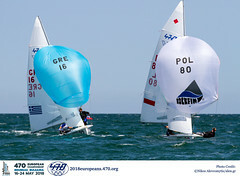 For those travelling from Europe, you can compete at the 2012 470 Junior World Championships for approximately EUR3,000 per person – based on 2 weeks in New Zealand and covering entry fee, boat shipment, airfare, accommodation and food. Online Entry - is open at www.470.org/events at the earlybird rate of EUR200 per team for all teams entered and paid for before 20 December 2011. Entries received after that date will pay the normal entry fee of EUR240. 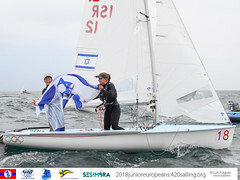 To be eligible to compete in the 470 Junior Championships, athletes shall not have attained his or her 22 birthday before the end of the year of the Championships. These are some of the great options available for accommodation, travel, shipping and charter as detailed below and for more information click on the Information Pack link in the Useful Links table above. Pre-Championships Clinic - join world class coach Nikos Drougas for the pre-Championships Racing Clinic from 24-26 January 2012. Worlds Warm-Up Regatta - If you are able to arrive in Takapuna for the 21 January 2011, then join the action at the pre-Worlds Warm up Regatta being held from 21-22 January 2011. Entries will be accepted on the morning of 21 January. Accommodation – ranges from a motel unit at EUR70 per night for up to 4 people sharing just 200 metres from the venue, to University campus rooms at EUR25 per night which are about a 15 minutes walk away, to host family accommodation. For those wanting hotel accommodation, the Spencer on Byron is 5 minutes walk to the venue and offers studio rooms for 2 people at EUR103 per night. Auckland to Europe - EUR700 per boat. Marseille, France - for Southern Europe.